COLUMBIA, Mo. – MFA Incorporated and MFA Oil have pledged $750,000 to the University of Missouri College of Agriculture, Food and Natural Resources (CAFNR). The gift will establish the endowed MFA Professorship in Agribusiness which will support agriculture education and research at MU. The MFA entities have pledged $750,000 over four years to establish the professorship. In addition to helping CAFNR recruit and retain a nationally respected faculty member, the MFA Professorship will support valuable research used by farmers and businesses to improve agricultural production. If potential future gifts from the MFA entities reach $1.1 million, the professorship will be converted to an endowed chair. The search for the faculty member to fill the professorship will begin soon, with the professorship to be filled within two or three years. Internal and external candidates will be considered for the position. Executives from MFA Oil and MFA Incorporated say the gift is a public demonstration of their appreciation for CAFNR and a formal celebration of their historic relationships with the college through mutual missions – service to the farmers and citizens of rural Missouri. 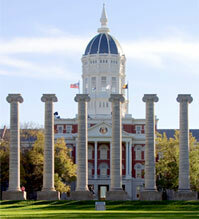 MFA Incorporated and MFA Oil enjoy a 100-year relationship with Mizzou that has helped each institution prosper. Established in 1914, MFA Incorporated is the nation’s oldest and one of the largest farm-supply cooperatives, serving more than 45,000 farmers and ranchers. MFA Oil, established 85 years ago, offers bulk delivery of fuel, lubricants and propane to more than 40,000 customer to farm owners. In addition, the MFA Foundation supports scholarships, infrastructure, hospitals, children’s playgrounds and other community needs throughout communities in rural Missouri. The foundation awards 325 scholarships to top Missouri high school students each year and 60 of the $2,000 scholarships are annually awarded to entering freshmen at Mizzou.